Christmas 2011 is only two weeks from now. So it’s the best time of the year to change your phone or older smartphone. In this post I am trying to cover all the major Android phones available in the US soil now offer by the major carriers. The past 12 months have shown amazing development in the smartphone arena, so there are many exciting options left for you in this year. One year ago Apple iPhone is the number one in the market but now the leader is Android. There are many budget friendly cheap android phones in the market as well as heavyweight state of the earth droid. So this article must help you to decide the best for you. Oh ho! There are lots of tablets in the wild too! And they are good for everything now! As I remember, last year you had only iPad and Samsung Galaxy Tab on the market but this year I don’t wanna count the number. That would take days now! I am here just mentioning the name with it’s significant features. I hope this will help you to quickly understand what do you really want. I am starting with Verizon Wireless. Price: $300 on a 2-year contract, $650 without contract. Price: $200 on a 2-year contract, $460 without contract. Price: $200 on a 2-year contract, $440 without contract. Price: $200 on a 2-year contract, $590 without contract. Price: $300 on a 2-year contract, $560 without contract. Price: $150 on a 2-year contract, $570 without contract. Price: Free on a 2-year contract, $450 without contract. Price: 16GB model is $530 on a 2-year contract, $700 without contract, 32GB model is $630 on a 2-year contract, $800 without contract & 64GB model is $730 on a 2-year contract, $900 without contract. Price: 16GB model is $430 on a 2-year contract, $600 without contract & 32GB model is $530 on a 2-year contract, $700 without contract. Price: 16GB model is $430 on a 2-year contract, $700 without contract, 32GB model is $430 on a 2-year contract(discount price), $800 without contract. Price: $230 on a 2-year contract, $500 without contract. Price: $230 on a 2-year contract, $670 without contract. Verizon Wireless is currently offering 32 Android smartphones and 15 tablets. Data pack required when you buy a handset in contract, starting as low as $20/month. Check out all of their best Android deals on their official website. Price: $150 on a 2-year contract( $100 discount price), $600 without contract. Price: $200 on a 2-year contract, $550 without contract. Price: $150 on a 2-year contract($100 online discount), $600 without contract. Price: $100 on a 2-year contract($100 online discount), $550 without contract. Price: $100 on a 2-year contract, $450 without contract. Price: $50 on a 2-year contract, $400 without contract. Price: Free on a 2-year contract, $370 without contract. Price: Free on a 2-year contract, $350 without contract. Price: $480 on a 2-year contract, $630 without contract. Price: $330 on a 2-year contract, $480 without contract. Price: $600 on a 2-year contract, $750 without contract. 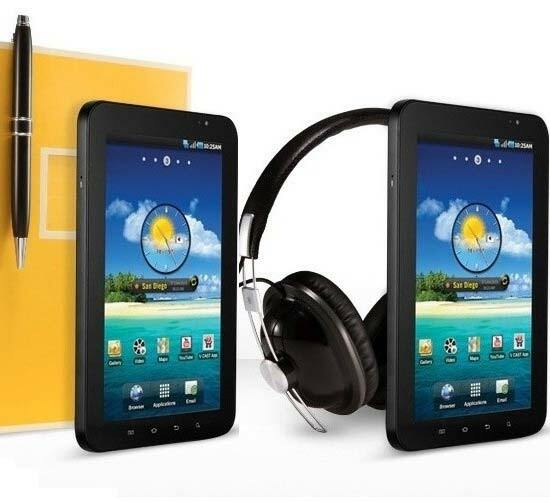 AT&T is currently offering 24 Android smartphones and 4 tablets. Data pack required when you buy a handset in contract, starting as low as $15/month. Check out all of their best Android deals on their official website. Price: $230 on a 2-year contract after mail in rebate. Price: $200 on a 2-year contract after mail in rebate. Price: $100 on a 2-year contract after mail in rebate. Price: Free on a 2-year contract after web only discount. T-Mobile US is currently offering 17 Android smartphones. Data pack with voice plan required when you buy a handset in contract, starting as low as $60/month. Check out all of their best Android deals on their official website. Price: $200 on a 2-year contract. Price: $100 on a 2-year contract after $50 mail in rebate. Price: Free on a 2-year contract after $150 web special discount. Sprint US is currently offering 19 Android smartphones and 3 tablets. Data pack with voice plan required when you buy a handset in contract, starting as low as $70/month. Check out all of their best Android deals on their official website. Price: $300 on a contract. Price: $200 on a contract. Price: $130 on a contract. Price: $100 on a contract. Virgin Mobile US is currently offering 5 Android smartphones. Data pack with voice plan required when you buy a handset in contract, starting as low as $35/month. Check out all of their best Android deals on their official website. Price: $150 on a 2-year contract after $100 mail in rebate. Price: $100 on a 2-year contract after $100 mail in rebate. Price: Free on a 2-year contract after $100 mail in rebate. Price: $400 on a 2-year contract after $100 mail in rebate. US Cellular is currently offering 7 Android smartphones and 3 tablets. Data pack with voice plan required when you buy a handset in contract, starting as low as $40/month. Check out all of their best Android deals on their official website. Price: Free on a 2-year contract and $450 without contract. Price: Free on a 2-year contract and $400 without contract. Price: Free on a 2-year contract and $150 without contract. Cincinnati Bell is currently offering 9 Android smartphones. Data pack with voice plan required when you buy a handset in contract. Check out all of their best Android deals on their official website. Price: $250 on contract after $100 mail in rebate. Price: $200 on contract after $100 mail in rebate. MetroPCS is currently offering 6 Android smartphones. Data pack with voice plan required when you buy a handset in contract. Check out all of their best Android deals on their official website. Price: $130 on contract after $70 web discount. Price: $70 on contract after $60 web discount. Cricket is currently offering 3 Android smartphones. Data pack with voice plan required when you buy a handset in contract. Check out all of their best Android deals on their official website. Price: $100 on a 2-year contract after $50 reward card. Price: $50 on a 2-year contract after $50 reward card. Price: Free on a 2-year contract. C Spire is currently offering 10 Android smartphones. Data pack with voice plan required when you buy a handset in contract. Check out all of their best Android deals on their official website. Boost Mobile is currently offering 3 Android smartphones. Data pack with voice plan required when you buy a handset in contract. Check out all of their best Android deals on their official website. I hope if you are going to buy a smartphone within few days then this article will help you a lot. I try to cover as many smartphone as possible both cheap and high-end. Please share this article on your Facebook or Twitter for your friends. They might need it.